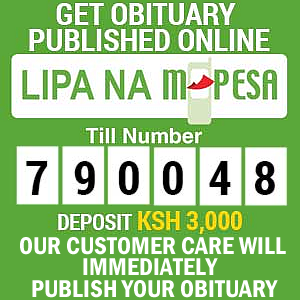 We announce with deep sorrow the passing of Tabitha Njoki Ngugi. Wife of the Late Gregory Ngugi Gathia. Daughter of the Late Githuka wa Ngugi and Wairimu Githuka of Gaitegi Village. Mother of Pastor Joseph Mburu of Family Life Ministries, Monica Wanjiru, Margaret Wairimu, Paul Githuka and the late George Marekia. 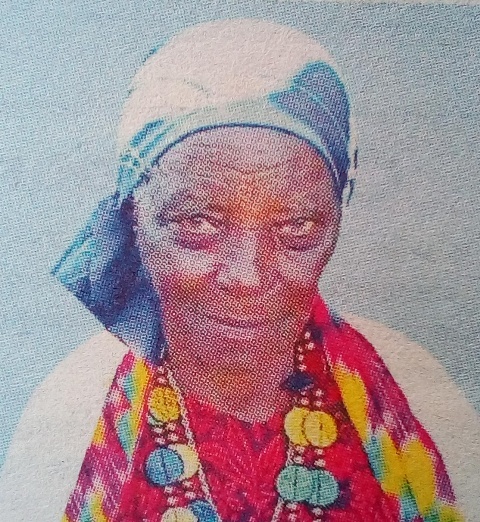 Grandmother of Gregory Ngugi of Shelter Way Agencies – Kahawa Sukari Marsabit Rd 2nd North Avenue, Sabina Njeri Mburu, Jeremiah Irungu among many others. Great grandmother of Collins Mburu Ngugi, Sandra Wanjiru Ngugi and many more. Friends and family are meeting at Roasters Inn Thika Road on 11th and Tuesday 12th February, 2019 at 6pm for prayers and burial arrangements. 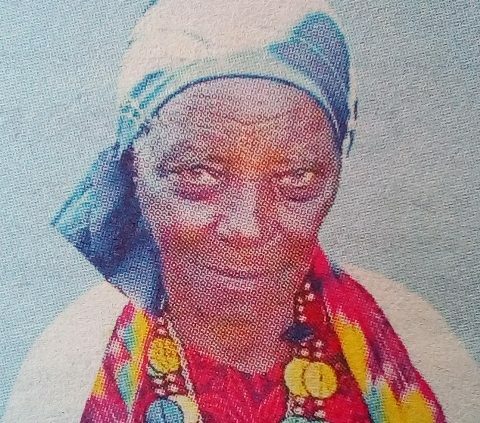 The cortege will leave Kenyatta University Funeral Home on Thursday 14th February at 8am for burial at her home in Gaitegi Village, Gatanga Division Murang’a County at 11am.